AnyToISO on Windows transparently integrates with Windows Explorer by adding context menus to supported files, optical CD/DVD/Blue-ray disks and normal folders. AnyToISO on MacOS transparently integrates with Apple Finder by adding itself to 'Open With' menu for supported files. The user can choose whether to convert or extract the desired file. Note: AnyToISO Lite version is completely free but it only works with files not greater than a regular CD size (870 MB). 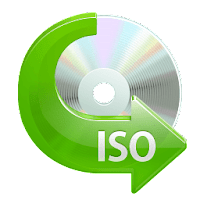 Disclaimer: Direct downloads for the lastest version of AnyToISO 3.8.0.560 are provided by the official software's author, we can't guarantee safety, availability or download speed. Moreover, we don't and we won't provide any pirated/illegal versions or tools. We recommend you to avoid it as these methods can harm your device. If you like the software, buy it to support the developers. (We provide software discounts for many worldwide brands).